Not content with offering the best new car warranty in Europe - Kia Motors has gone even further, now offering up to seven year's warranty, even on a used car! From April, customers buying an Approved used Kia up to 18 months old with no more than 18,000 miles on the clock can get the warranty topped back up to the same level as if they were buying the car from new. That means that for under £10,000, customers could get a used cee'd with a seven-year warranty making this the best used car offer around. And just in case Kia's bumper-to-bumper seven-year warranty isn't enough to tempt buyers into an Approved used Kia, every car comes with a full service history, 88-point inspection, 60-day exchange programme and two years European breakdown cover. 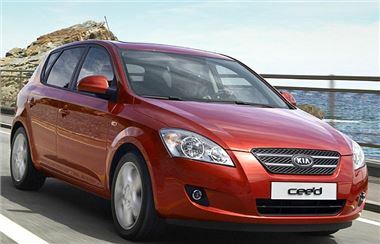 Andrew Sellars, Head of Fleet and Remarketing, Kia Motors (UK) Limited commented; "This new Approved used car programme has come about as a result of listening to what Kia customers want. Now, more than ever people are being careful with their money and want complete faith that any product they are buying, be it a phone or a car, will last. "We have such faith in the quality of our products that we can now offer customers the best Approved used car programme on the market. Just because you are buying second hand, doesn't mean you have to be treated as second class. Why should used customers miss out on all the benefits that come with a new car?"